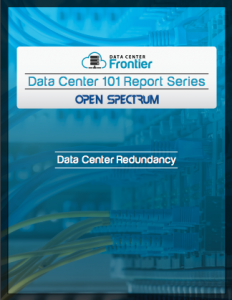 The Data Center 101: Data Center Redundancy report, brought to you in partnership with Open Spectrum, is part of the Data Center Frontier Data Center 101 Special Report series. Data Center 101: Data Center Redundancy is part of a group of 14 reports that cover the ins and outs of the data center industry, explores the importance of the symbols N, N+1, N+2, 2N, and 2N+1 and their relationship to data center redundancy. The symbols N, N+1, N+2, 2N, and 2N+1 are commonly used to describe the level of redundancy built into the architecture for the power and cooling infrastructure within a facility. The definitions in this report provide a quick definition so you can understand what each of these actually mean for power delivery. Just joining the industry or need to brush up on Data Center basics? See additional entries in our Data Center 101 Special Report Series, which covers topics like data center design, types, power, negotiating data center contracts and more.